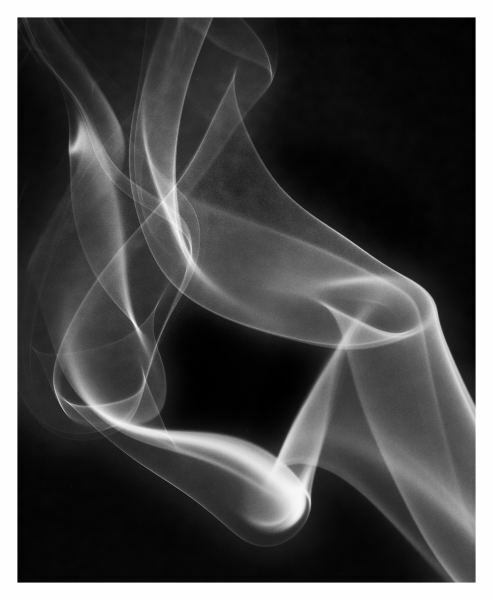 In my project, “Smoke Dance: Where Kant Meets Newton,” I am exploring the borderland occupied by Kantian aesthetics and Newtonian mechanics, a realm where universal qualities shared by both art and science are brought to light by the fleeting sculptures formed in whiffs of smoke. In these tiny whiffs of smoke are notions of the sublime, the beautiful and the figurative, which are exemplified by symmetry, self-similarity, scale-invariance, order and disorder. For the scientist, these underlying properties are anchored in physical principles and mathematical structures that apply not only to the Smoke Dance, but also to the flows in rivers, the development of weather systems, and the formation of galaxies. 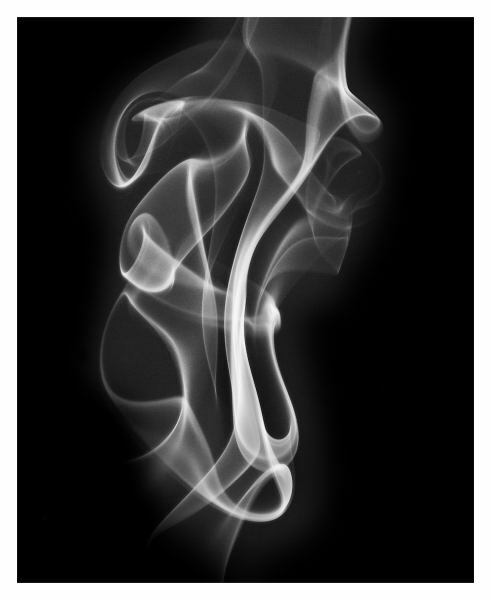 For the artist, the Smoke Dance exemplifies the interplay of light, tonal range, and form. 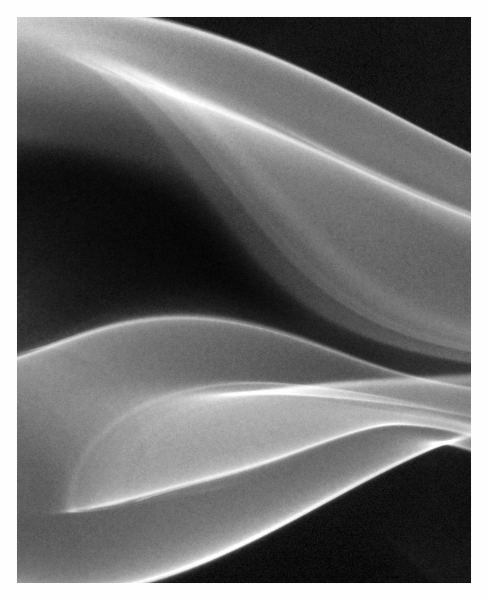 Whether scientist or artist, my goal is to evoke one’s imagination, where ghostly abstracts and classic sculptures are frozen by a momentary flash of light and fixed in a photographic print. Photographs of smoke and vapors are relatively common owing to the ease with which they are made and their visually interesting structures. Those structures are often wispy and complex. My interest is to go beyond the wispiness and photograph “significant forms.” To do so, I examine the very tiny structures within the smoke, which is technically challenging but visually and intellectually compelling. The structures that form appear as solid sculptures, galaxies, or the human body. 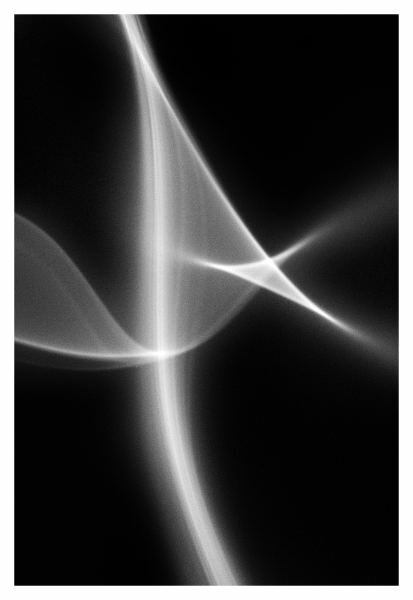 Smoke Dance, Study 12, for example, is reminiscent of the plaster mathematical forms photographed by Man Ray in the 1930s and more recently by Hiroshi Sugimoto. Study 46 is similar in structure to galaxies, while Study 58 is similar to interstellar clouds that serve as the birthplace of stars. Study 35 echoes the torso sculptures made in centuries past.